Liability coverage is the coverage every Arizona driver is required to carry under state law. This is what covers damages you do to someone else’s vehicle and person. This does not pay for your injuries or vehicle. The State of Arizona requires every driver to carry at least $15,000 per person/$30,000 per accident and $10,000 property. This is the only coverage the State of Arizona requires drivers to carry. Uninsured motorist (UM) coverage provides coverage for injuries caused by an uninsured motorist. This coverage is there to protect you and the passengers in your vehicle if the person who hit you does not have insurance. Underinsured motorist (UIM) coverage protects you if you are injured by a motorist whose liability coverage is insufficient to fully compensate you for your injuries. In other words, if the person who hit you does not have enough coverage to pay for your medical bills and injuries, UIM coverage could be used for the excess. Medical payment coverage provides for reimbursement of all reasonable medical expenses your passengers and you incur while occupying a covered vehicle. 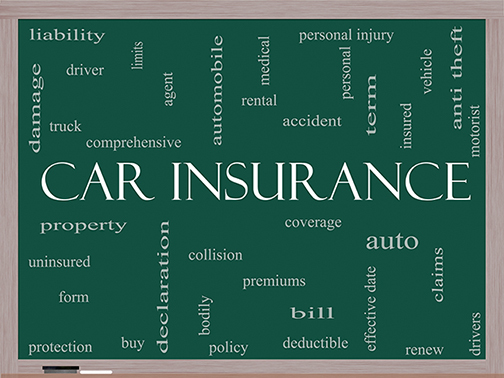 It is a coverage you can purchase on your own automobile insurance to cover you and your passengers to pay your medical bills as you receive treatment. It is usually written in amounts such as $1,000, $2,000, $5,000 or $10,000. There are rules imposed by the state of Arizona concerning this coverage. We will verify which, if any, of these rules apply to your case. This coverage helps pay medical expenses with no regard to who was at fault. Comprehensive automobile insurance provides coverage for loss to your vehicle and, in some cases, to a non-owned automobile for losses other than those resulting from collision. Coverage for property damage and loss caused by fire, theft, windstorm, and hail are typically included. Collision insurance reimburses you if you must repair or replace a damaged vehicle. Like medical payment insurance, collision insurance provides coverage no matter who caused the accident. Sometimes, it is better to use your own collision coverage and have your company battle the other driver’s insurance carrier to subrogate or get paid back for the damages to your vehicle. Most collision policies are issued subject to a deductible such as $250, $500 or $1,000. Arizona law allows you to collect diminished value from the defendant’s insurance company when your vehicle has been in an accident. Factors that affect the diminished value include mileage, the make and value of the vehicle and its condition prior to the damage. To qualify for this reimbursement, you must provide proof of the diminished value, over and above the repair bill. We will advise you as to whether or not your vehicle qualifies for a diminished value payment.